One characteristic of all major bull markets is that they rally much further than anyone originally expects. One of the characteristics to watch for is the size of the consolidation preceding a major breakout. 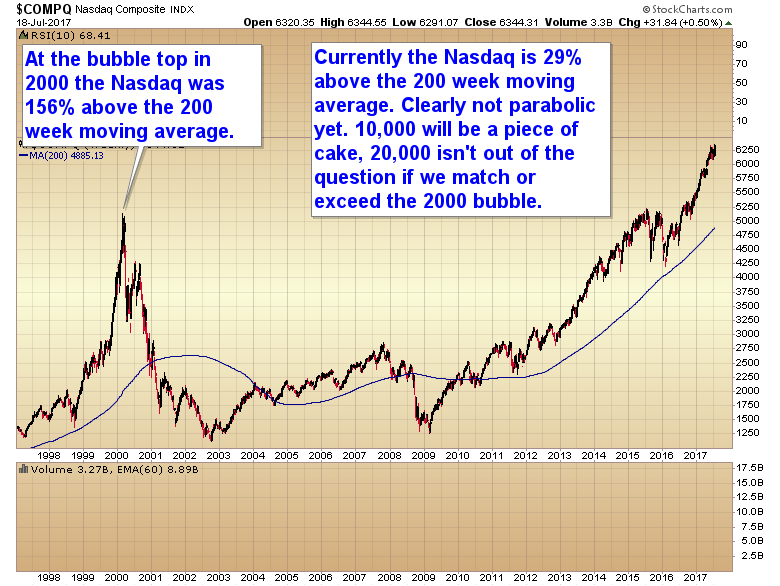 Examples of this phenomenon are examined in various markets – gold, DJIA, Nasdaq and silver. This entry was posted in Uncategorized on July 30, 2017 by Gary. This entry was posted in Uncategorized on July 29, 2017 by Gary. This entry was posted in Uncategorized on July 28, 2017 by Gary. This entry was posted in Uncategorized on July 26, 2017 by Gary. 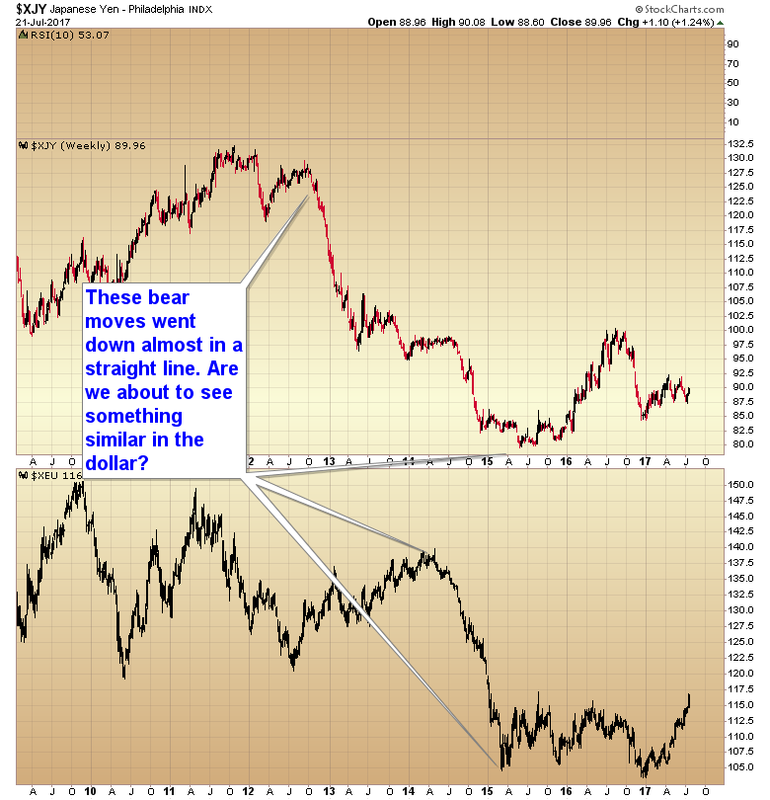 I think we need to focus on what is happening to the dollar. The intermediate cycle is now 63 weeks long. Clearly that isn’t normal. 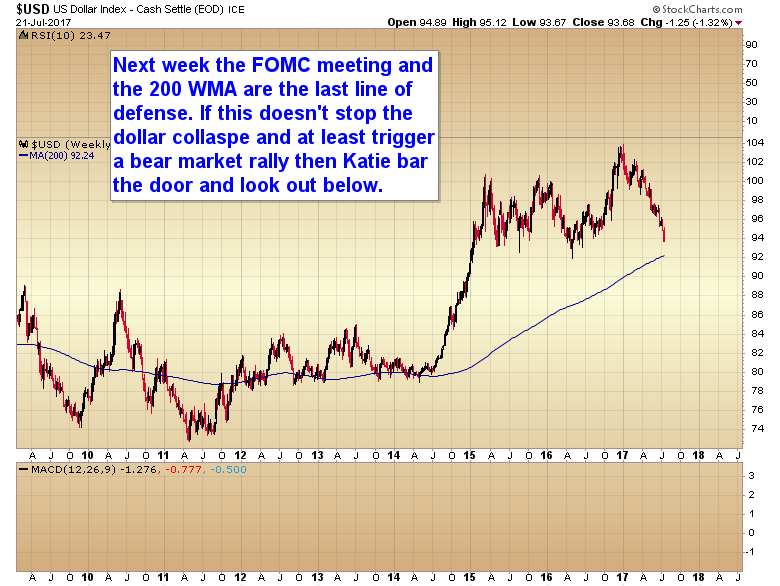 I’ve maintained for several years that the end game was going to play out in the currency markets. There has to be consequences to printing trillions and trillions of currency units , and leaving interest rates at 0 for 8 years. I don’t think the consequences are going to be deflation. 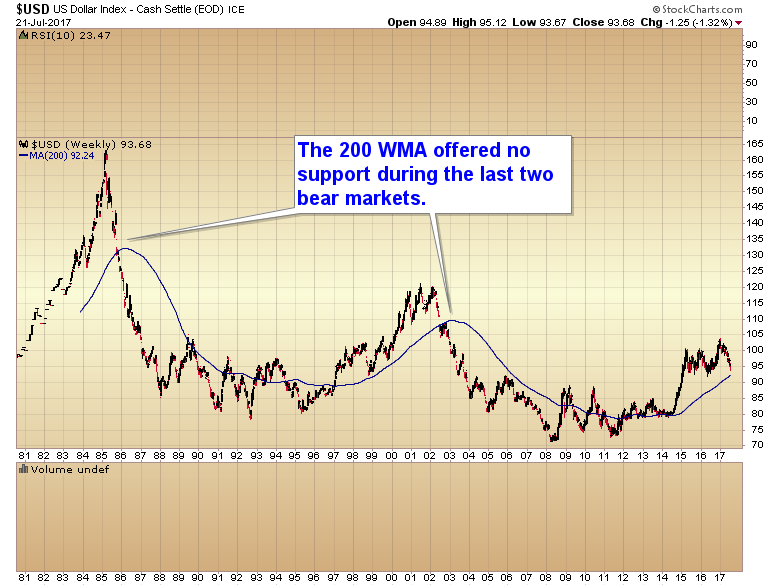 I think the end game will be inflation, just like it was in the 70’s, and just like it was in 2007 and 2008. This entry was posted in Uncategorized on July 22, 2017 by Gary. This entry was posted in Uncategorized on July 20, 2017 by Gary. This entry was posted in Uncategorized on July 19, 2017 by Gary. 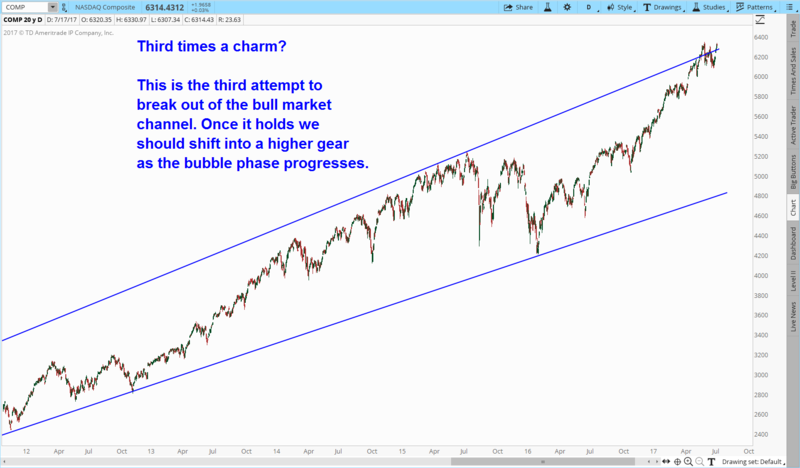 CHART OF THE DAY -THIRD TIMES A CHARM? This entry was posted in Uncategorized on July 17, 2017 by Gary. This entry was posted in Uncategorized on July 16, 2017 by Gary. Folks this is the only format I’m going to accept. I want the price you bought or sold at. I don’t want to see anymore stop loss levels. I don’t want number of shares (then I have to figure out what percentage of the portfolio that is). Just two pieces of information. Anything other than that and I’m just going to delete your email. You also can’t use margin. If you exceed the value of the portfolio I will ignore any further trades. This entry was posted in Uncategorized on July 14, 2017 by Gary.